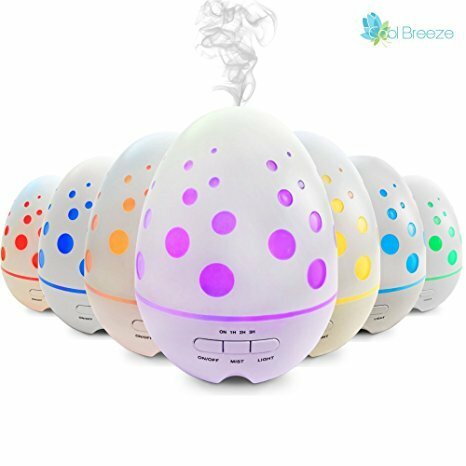 Which is the best essential oil diffuser? Whether you want to use your aromatherapy oils at home, in the bedroom or even in the car we’ll help you make the perfect choice! If you’re wondering which is the best essential oil diffuser you are in the right place, because we’ve been checking out the best diffuser for large rooms, for kid’s rooms and even the best one for using in the car! They come in all shapes and sizes with all sorts of functions and you might decide you need a different diffuser for different purposes. Oh yes, aromatherapy diffusers are like shoes… one pair is never enough! ✅ This specific diffuser is the most popular with our readers. Not only is it a fabulous diffuser but it’s also waterless and wireless and has a whole ton of 5 star reviews. If you can get it for under $100 then grab it. That really is a fabulous deal on a portable essential oil diffuser! We’ll look at the best diffusers for sleeping, child friendly ones for kid’s rooms as well as diffusers for large rooms too. Have a read through this buyer’s guide before you spend any money to make sure you pick out the right diffuser for YOUR needs. You should be happy with ANY of these 7 aromatherapy diffusers. 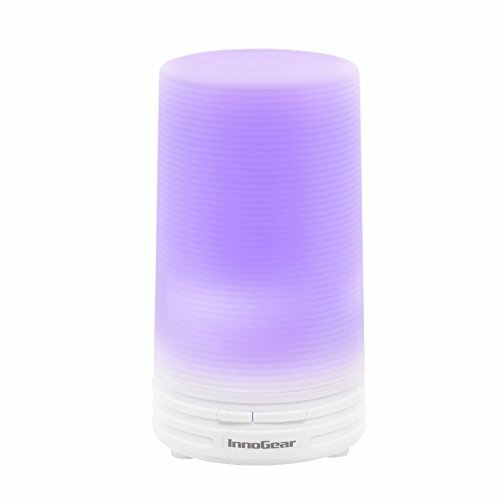 buying tip: watch that page for deals on the InnoGear Aromatherapy Essential Oil Diffuser – if it’s under $50 it’s a GREAT deal! So let’s find the essential oil diffuser that’s right for YOU. That’s what this Essential Oil Diffuser Buying Guide is for after all, to help you figure out what you need from your diffuser, compare the most popular brands, see the current sale prices on the diffusers with the best ratings so you can get the best deal… all with the end goal of helping YOU find the diffuser that meets YOUR needs. Why Should You Inhale Your Essential Oils? This USB diffuser is designed for the car but is a great choice for the home too! Sleep. Ah yes that elusive thing all parents dream of! Wanting more sleep for my kids and me was the reason I got into essential oils in the first place! And one of the most popular uses for an essential oil diffuser is to diffuse sleep-friendly oils like lavender and roman chamomile. But it is actually surprisingly difficult to find a “sleep diffuser” that is suitable for the bedroom because so many of them are too noisy or have lights that are too bright. 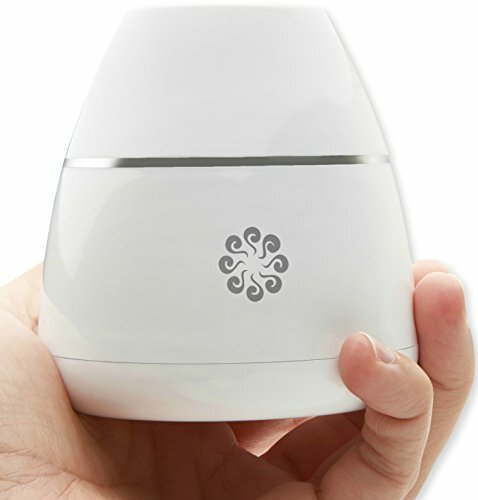 We love this diffuser for sleep because its whisper quiet, runs all night and you can turn the lights off! 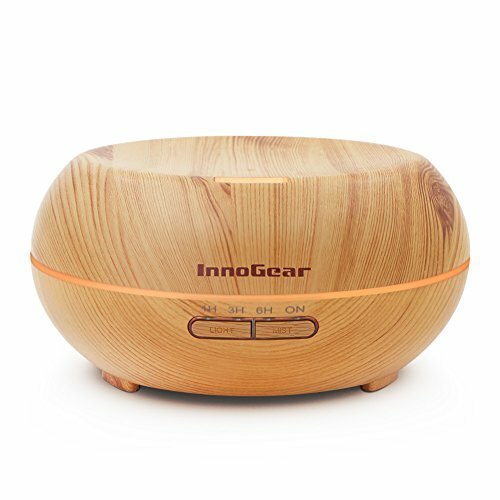 We hunted high and low before we were happy to call this wood grain effect ultrasonic diffuser from InnoGear the best essential oil diffuser for sleep. 1. It’s whisper quiet. If you need a diffuser to help you get a good night’s sleep chances are you’re a light sleeper, which means you don’t want a noisy diffuser bubbling away in the bedroom! This one is super quiet so you won’t know it’s there. 2. It lasts all night. You want your aromatherapy diffuser to support your sleep all night long so it’s annoying when a unit stops running after an hour or two. This one has a 200ml tank and will keep misting out those oils for eight hours. 3. You can turn the lights off. Most diffusers these days come with a light show which is great for setting a relaxing atmosphere before you go to bed. But if you need total darkness to sleep you need to be able to switch it off. Luckily this diffuser has been designed so not only can you turn the main lights off the control lights are also dim enough to allow you to sleep soundly. The InnoGear has more than 1300 positive reviews on Amazon and if you want to know more about the diffuser before you buy we highly recommend you check out this review as it has some great photos of the different lights. As a mom I understand that sleep is precious which is why I diffuse lavender in my kid’s rooms at night to help them sleep better. We actually have two diffusers to tell you about if you are looking for an essential oil diffuser for baby, or for an older child. They both have slightly different benefits so you can pick which one suits you best, and one of them is so popular it sometimes goes out of stock so if it happens to be unavailable today you can pick up the other one instead. This has been our top pick essential oil diffuser for kid’s rooms for a few months now and many of our readers have bought one, it’s so popular that it often goes out of stock! No wires and no water make this the perfect diffuser for a toddler’s room! 1. There’s no water to spill. If you have an inquisitive toddler you need to be careful putting a diffuser filled with water in their bedroom in case they pull it over. This is a nebulizer diffuser so it doesn’t need any water to dispense the oils. Instead you simply screw a 10ml bottle into the bottom of the diffuser, and the oil is broken down into teeny tiny molecules which are dispersed into the air. This makes it a great choice for a toddler’s room because if it gets accidentally knocked over nothing is going to spill out. 2. There are no wires. I don’t know about you but I was crazy paranoid about having anything with wires in my kid’s rooms when they were small as they are a strangulation hazard. That’s why we love this diffuser. It has a built in rechargeable battery that will run your diffuser for 50 hours before it needs charging! 3. It’s portable. No wires and no water means this little gem is completely portable. So you can use it in the car on long journeys to stop everyone getting fractious, and you can use it in hotel rooms to make sure everyone STILL sleeps even when you’re away from the familiarity of home! The one thing this diffuser does not have is a light show. If you would prefer your diffuser to also be a night light for your child’s room you should consider the next one. We love nebulizer diffusers like the previous pick because you don’t have to add water and a bottle of oil lasts for weeks. But water based (ultrasonic) diffusers do have their benefits in baby rooms because they also act as a humidifier, so they are perfect for sniffly babies. Dino egg diffuser is perfect for a nursery or kid’s room! 1. You can run the light show or turn it off. There are so many options on this diffuser for controlling the lights, you can have a rotating light show or just pick one relaxing colour as a night light, or if you prefer you can turn the lights off altogether. 2. It looks like a dinosaur egg. This really is the coolest looking diffuser, most are pretty elegant in design because they’re meant to be used in adult spaces, but this one looks like a dino egg making it a great choice for a nursery or kid’s room! 3. It runs for 8 hours. 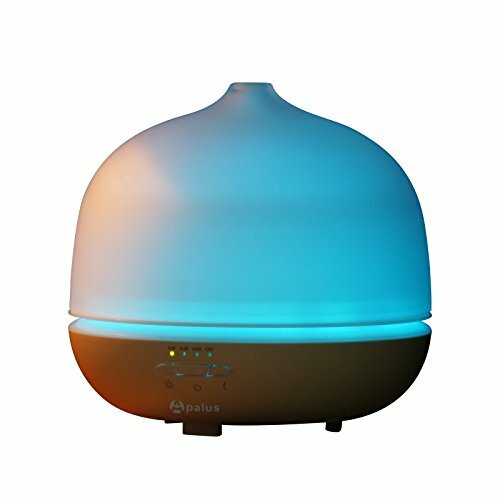 This diffuser has a huge 400ml tank so it will keep on diffusing those sleep friendly oils all night long! While we were researching this diffuser we came across a couple of comments from people who said they had returned it because it was just too hard to open when they needed to add oils and water. It turns out there is just a knack to how you open it as this lady explains here. If you’re going to have your diffuser on display at home or in the office where lots of people will see it you’ll want it to look good right? If you’re wondering which are the most stylish diffusers for 2019, you can’t go wrong with any one of these gorgeous options! 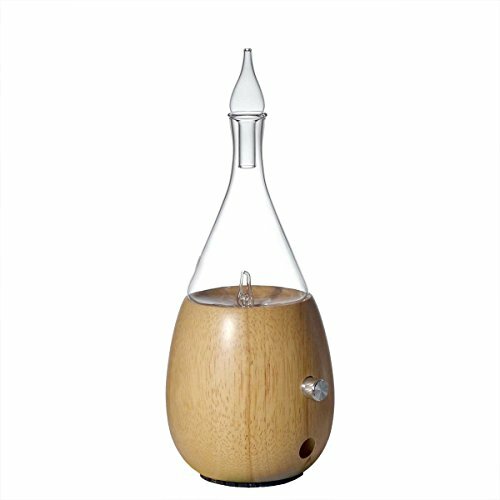 If you are looking for the best essential oil diffuser for large rooms, either in your home, or for an office or even a yoga studio then you can’t go wrong with this gorgeous glass diffuser from Apalus. 1. Up to 1000 square feet of coverage. 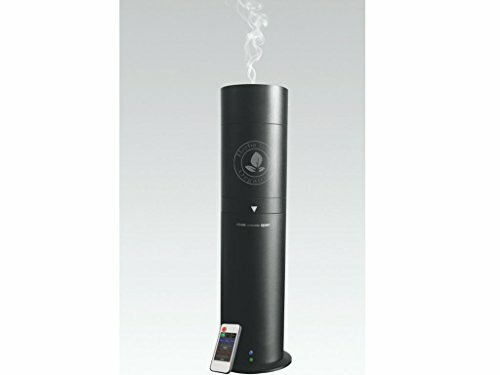 Thanks to the large 500ml water tank and strong mist this diffuser can spread the scent of your oils over a 1000 square foot area. 2. Many timer options. The diffuser is very flexible and you can choose to run it continuously or at 1hr/3hr/6hr intervals. In continuous mode the large water tank means it keeps on diffusing for around 18 hours! 3. it looks elegant. Whether you want to use a diffuser in your home or in a work environment you want it to look good and this glass diffuser does. You can also choose from seven different coloured lights so it will suit your decor. This is one of the most economical ultrasonic diffusers we have found when it comes to oil usage. If you use the intermittent setting 6 drops of oil will last around 36 hours. And it’s a great price too! Whether you need some peppermint to keep you alert on the commute to the office, or lavender to keep the kids calm on a road trip, an aromatherapy diffuser is the perfect addition to your car. The BEST diffuser for the car, it’s like a home diffuser but PORTABLE! 1. Fits in the cup holder. This diffuser has been designed to be a similar shape and size of a travel coffee cup so it fits neatly in the cup holder, which means you don’t have to worry about it falling over. 2. It has a powerful mist. Most USB or car diffusers have a weak fan and don’t diffuse the essential oils very well. This diffuser has the strength of a regular home diffuser in a portable size. And it even has a light show and an interval mist setting too, which is way more than we expected for a USB diffuser! 3. It’s great for the office too. Don’t leave this diffuser in the car when you get to work, take it into the office with you and you can enjoy your oils while you charge it up with the USB cord. ✅ Tip: If you want a portable diffuser that kicks out a lot of scent… ===>> check out this diffuser. Most aromatherapy diffusers are made using plastic but if you want something elegant for your living room you might prefer a glass diffuser instead. We saw so many beautiful designs that we couldn’t narrow it down to just one, so here are our picks for the best glass essential oil diffusers. 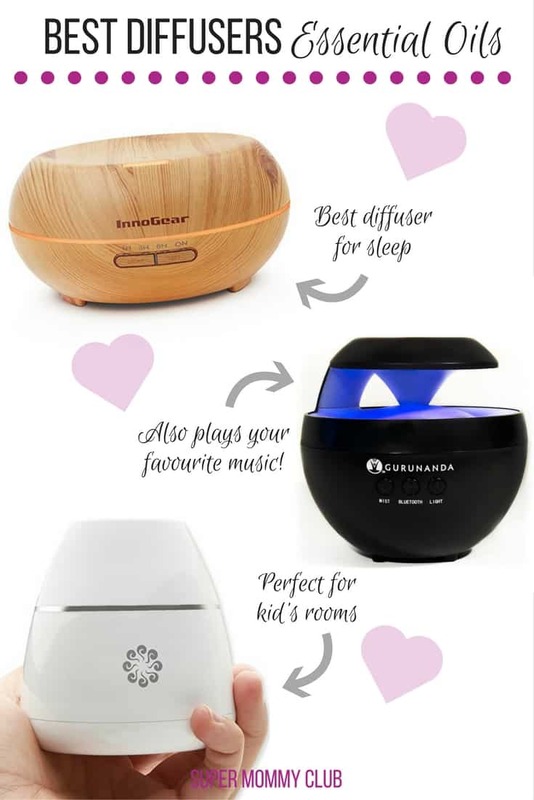 These days most of us have our music stored on a phone or tablet and so we thought we’d try and find a diffuser with a built in bluetooth speaker as a great way to enjoy our music and our oils at the same time. We’d heard good things about the AromaHarmony Diffuser with Bluetooth but when it came down to it we much preferred this Zen diffuser from GuruNanda. 1. Easy to connect to your phone. Connecting the bluetooth speaker is super easy, just activate the bluetooth setting on your phone, press the button on the diffuser and your music will start to play. 2. Relaxing light show. This diffuser has a relaxing light show which can be switched off if you want to use it in the bedroom. 3. Perfect for a yoga session. Play some natural sounds through the speaker and you have the perfectly relaxing environment for a yoga session either at home or in a studio. Ultrasonic diffusers have their benefits because they also double as humidifiers making them great for dry days or when someone in your family has the sniffles. But they also require regular cleaning and of course regular topping up with water and essential oils. If you would prefer a low maintenance diffuser that just keeps on going you need a nebulizing diffuser instead. This diffuser was actually recommended to us by a reader and so we added it onto our research list and were really happy to see it came out on top! 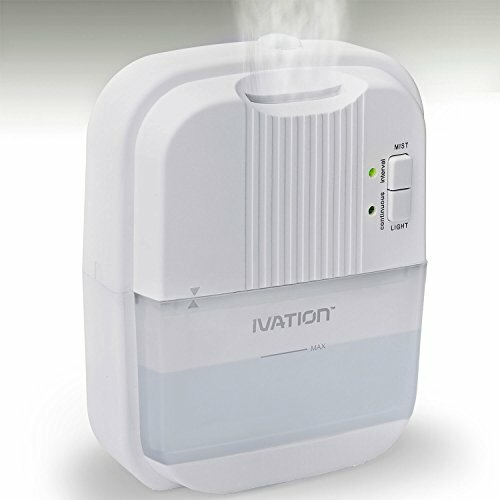 Here’s why we agree that its the best nebulizing diffuser. 1. Bottle is easy to attach. Some nebulizers make you jump through hoops to add your oil, but not this one, you just screw your 10ml bottle in and its ready to go. It also comes with an empty 10ml bottle which is perfect for mixing up a blend of oils to use. 2. Flexible settings. There are so many settings to choose from you will find one that works for you. You can vary the “volume” of oils which are dispersed as well as choose from three different interval settings and three different timers. 3. Remote control is included. If you want to vary the settings during the day the remote control makes it really easy. And there you have it; the best essential oil diffusers for 2019 so you can make the most of your aromatherapy oils where ever you are. If you are just getting started on your Essential Oils journey you might have heard people talking about the different ways to use the oils to maximise their benefits. And one of those ways was probably by using a diffuser. But if you’ve never come across one before you might be thinking: What is an Essential Oil Diffuser? And that’s what we’re going to talk about today! Before we get talking about diffusers we just wanted to let you know “why” you would even want to inhale those essential oils. Did you know that your nose is connected to your brain? When you inhale an essential oil it gets picked up by neutrons in your sinuses and from there its a journey to the centre of your brain that takes just milliseconds. It makes sense when you think about it, because its also the reason why scents evoke such powerful memories. So inhaling your oils is a super fast way to get them into your body so they can get to work. You can inhale the oil straight from the bottle, or by putting a drop on your hands and cupping them over your nose. You can even put a drop or two on a cotton wool ball and put it near an air vent. But the best way to disperse those oil molecules around the room so you can breathe in the benefits is by using a diffuser. Essential oil diffusers (also known as aromatherapy diffusers) disperse the oil so that the fragrance, and the benefits, fill the air in the room. If you have invested in therapeutic grade essential oils (like we do) you will want to avoid heat and evaporative diffusers. Those oils have been purposely distilled at low temperatures to keep their goodness locked inside and you don’t want to undo that by heating the oils. I would never use a heat or evaporative diffuser with my oils as it would damage them, and for that reason I’m not even going to tell you any more about them! So that leaves the nebulizing diffuser and the ultrasonic diffuser. Nebulizing oil diffusers work on the oil itself by breaking it down into super tiny molecules and dispersing them into the air. They are the most powerful type of oil diffuser because they don’t use any water to get the oil into the air. Instead they use an atomiser to break down the oil particles and blow them into the air. 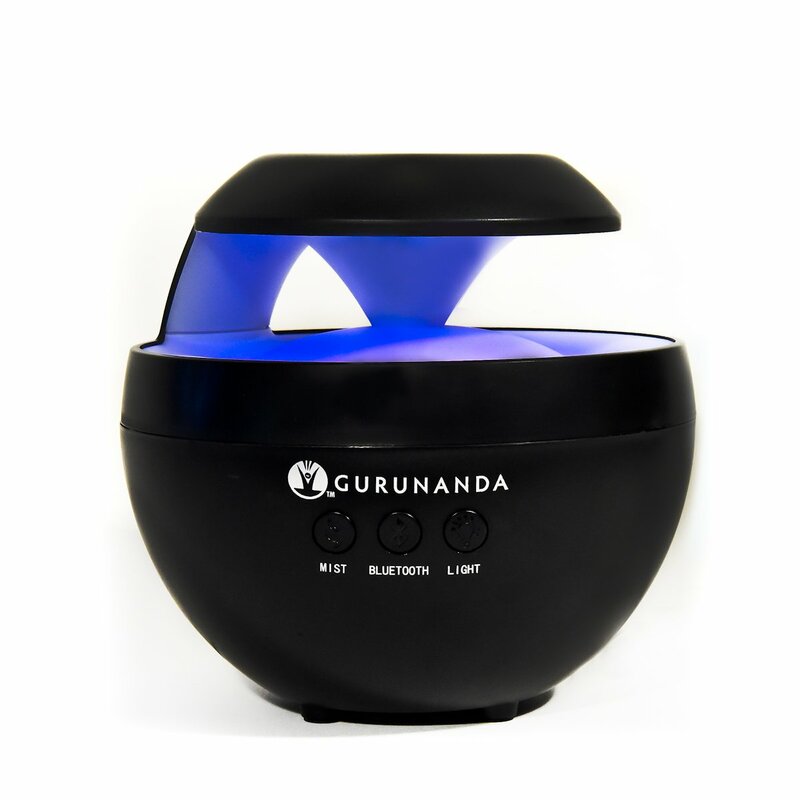 The ultrasonic diffuser uses water to create a fine mist to send the oils particles up into the air. Because you are adding water to your oils they last a lot longer so the ultrasonic diffuser is very economical. Most of them come with timers too which is great because the oil will remain in the air for about 4-6 hours so you don’t need to be diffusing constantly.